Type-2 diabetes doesn’t have to be a lifelong condition; for many people, especially those who have been recently diagnosed, it’s possible to reverse the symptoms of this malignant disease. But how can that be done? Inspired by results obtained from research done at Newcastle University, Richard Shaw decided to try and kick the disease by following a carefully structured, low-carb, whole-food diet and starting a modest exercise regime. 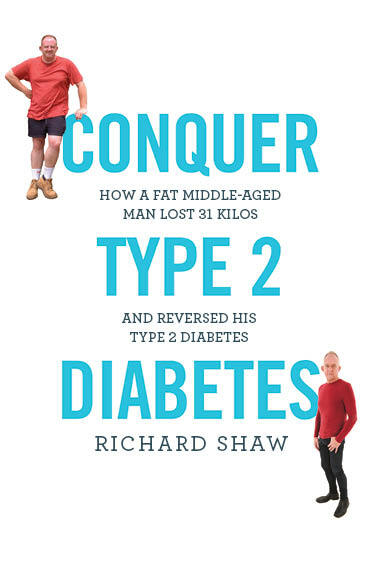 Conquer Type 2 Diabetes describes what he did to lose 31 kilos and all his diabetes signs (high blood sugar, high cholesterol, high blood pressure) and symptoms. We caught up with Richard to ask him a few questions about his new book and his amazing recovery. When I started this I really wanted to talk to someone who’d managed to put their own T2D into remission: not a doctor, not a dietician, not a medical professional but someone who had had first-hand experience of doing it for themselves. I couldn’t find anything that really told me what it was like from the patient’s point-of-view, so I thought it might be worth writing my own. 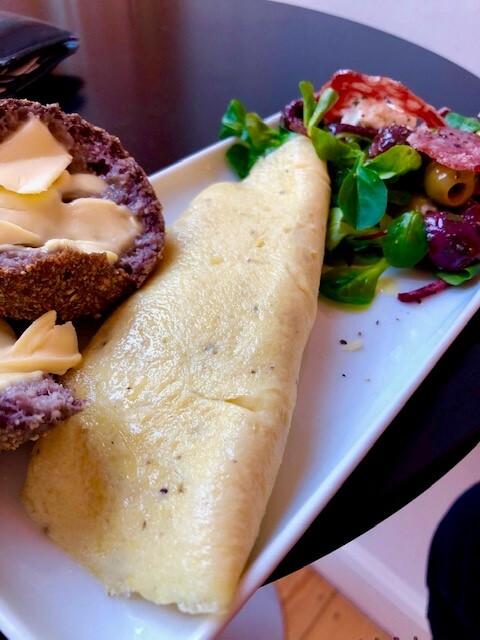 Plus, because I like food so much, I really wanted to write some decent recipes to make the point that it’s not all about bland salads, tasteless soups and intermittent fasting. 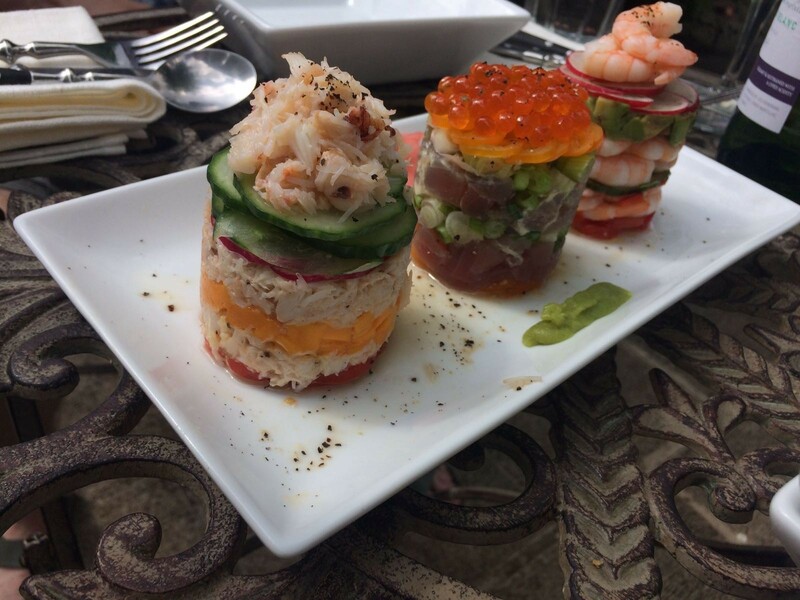 Richard’s book is full of amazing recipes, like this crab and radish stack. It can be tough to write a book and hold down a full-time job. I did it by getting up every morning at 4am, writing for 2 hours and going back to bed for a while before heading into work. I wrote it as I went through the process and there was a part of me that worried that if it didn’t work it might all be a bit of a wasted effort. In hindsight, I think writing the book probably gave me motivation to keep going and made me even more determined to see it through. I’ve collaborated with other writers on books about food and cooking in the past so, to be honest, it was amazing to finally produce something that had my name on the cover. And even a slim book like this goes through so many versions, eventually having your editor tell you one day that it’s finally done is an enormous relief. I also took huge satisfaction from my GP agreeing to write the foreword, she was incredibly generous with her comments. Did anything surprise you while writing Conquer Type 2 Diabetes? I spoke to dozens of other people as I was writing it and I was surprised to find so many people attempting to come off the meds and resume a normal life. Putting T2D into remission is a very active and passionate grass-roots movement but it hasn’t really translated into mainstream medicine yet. By and large much of the medical profession is treating this disease in exactly the same way, as it was 30 or 40 years ago, with lame public health advice, generic exhortations to adopt a healthier lifestyle and by prescribing a raft of meds that treat the symptoms rather than the underlying cause. So finding other people doing exactly the same thing all over the world provided enormous encouragement to keep going. Professor Roy Taylor’s work from the DiRECT trials tells us that the earlier we attempt put T2D into remission after diagnosis the greater the chances of success. And for many people this doesn’t have to be a ‘forever’ diagnosis, – something I took at face value for several years. It’s a story for people who want to take a shot at reversing their condition and testimony that (if addressed soon enough) it may not have to be a lifelong, meds-dependant, progressive illness. And if someone who’s as hopeless at exercise as me, who likes food as much as I do and who’s as much of a slacker as I am can do it, then so can many others. For more information about Richard’s new book, go to his website here, or join the conversation on Facebook.